Recent K-dramas, in addition to their entertaining storyline, have integrated the works of classical music geniuses into their OSTs (Original Sound Tracks) and have transformed those “outdated” yet classic pieces into something trendy and hip. The amazing thing is that these remixes fit perfectly with the dramas and they definitely enhance the audience’s experience of certain scenes and/or emotions. 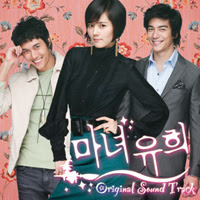 Examples of “modernized” classical symphonies include songs from the OST of My Girl and most recently, Witch Amusement. 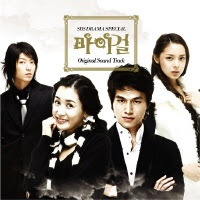 Special thanks to yeohweping for the OST. 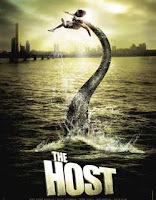 The film The Host has earned one million US dollars at the US box office in the three weeks after its release there, its producer Chungeorahm said Tuesday. Having been released in 71 theaters on March 7, the film raked in 320,000 dollars for the first week, and the earnings reached 690,000 in the second week and one million in the third week, when the number of theaters also rose to 94. The producer said that the film reached the million dollar mark in the shortest time among all Korean films released in the U.S. Citing the film’s US distributor Magnolia Pictures as saying that it plans to show the film for the long-term, the Korean producer expressed its confidence in the film’s success there. Korean movies released in the US include Spring, Summer, Autumn and Winter, Brotherhood of War and Old Boy. Among them, Spring, Summer, Autumn and Winter set a record high in box office earnings with 2.3 million dollars during its seven-month run. Regarding the movie, I actually like it alot. For a movie categorized as an “action film,” I was pleasantly surprised at the subtleties that its director sprinkled in throughout the film. I also like the mix of action, human/family relationship, politics, and humor. This theatres experience could have been a completely wonderful one had it not been for stupid comments made by several movie goers. One lady, after the movie ended, sarcastically said, “Wow, they sure know how to make movies.” Another lady said something about how it should’ve been dubbed instead of subtitled. Oh well, how sorry I am that it’s not the way that she preferred. I mean, the production team and the film studio were so unreasonable and inconsiderate to have her *gasp* read something, right? Whatever, I’d say to them.